As you can see, it has been quite a while since I last posted. I apologize for that profusely, but it is not without good reason. I had originally posted a whole long personal story about the some of the personal hardships I’d been through in the past couple of years, but regretted doing so w/in 15 hours, hope most of you didn’t get a chance to read it, and so let’s just say I’d had a lot on my plate and a leave it at that. Getting back to this blog, right now I need to focus my time that I’m able to be at the computer (which is limited b/c of my back) working. This leaves me with no time to work on How to Blog right now, which makes me really sad. I think it is a wonderful resource and needs to be kept going. So, readers…are any of you interested in contributing to the site with informative posts on aspects of how to blog?? 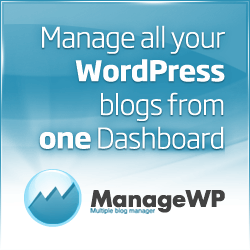 Tips and tricks, guides, walkthroughs, suggestions, experiences, blogging software comparisons, plugins, templates and themes, updates to my comprehensive wordpress theme list, any of these things would be wonderful additions to How to Blog and greatly appreciated!! Please comment below or email me at howtoblog(at)gmail.com if you are interested in contributing! Help me to help this blog get back to it’s roots of helping new and experienced bloggers alike! Thanks so much in advance!!! !